Home > Hookin on Hump Day > Hookin On Hump Day #87: Link Party for the Fiber Arts! 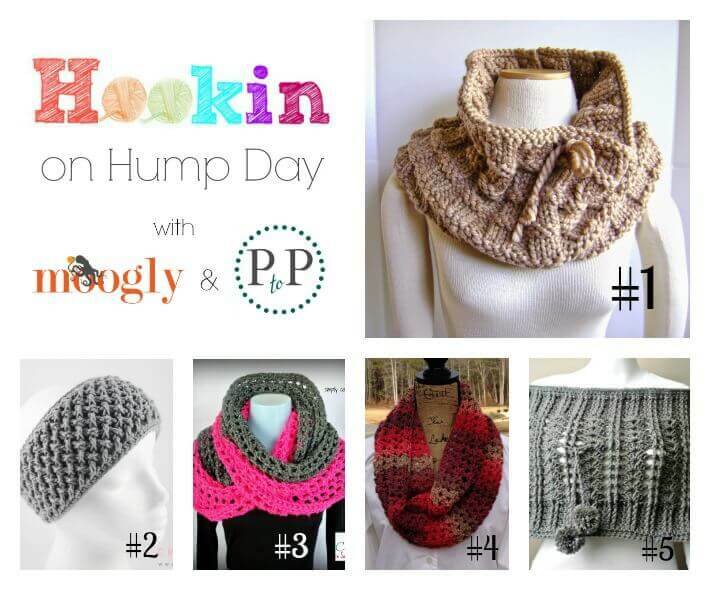 Hookin On Hump Day #87: Link Party for the Fiber Arts! 1. MOST CLICKED LINK: Basket Weave Cowl Pattern by Creative Designs by Sheila Zachariae: A lovely but not too hard knitting pattern! Lovely texture! Available for purchase. 2. Criss Cross Head Wrap by Craft Chic: A great FREE crochet pattern with a photo tutorial! 3. Coraline in San Francisco Cowl Wrap by Simply Collectible Crochet: You can style this FREE crochet pattern 8 different ways! 4. Sunset Scarf by ELK Studio Handcrafted Crochet Designs: Rich and warm and a FREE crochet pattern! 5. Cathedral Convertible Cowl by Cre8tion Crochet: And you can wear this FREE crochet pattern 6 different ways! Please visit at least one other link and leave a comment on their post so we can really support each other! Please remember to link to your actual project URL and not your homepage URL, and use the name of your project or post, not your own name. No Etsy stores, Facebook pages, giveaways, or other link parties. Just blog posts to your actual projects. I’d also really appreciate if you’d follow me on one of my social media links (see the icons at the top right of the page), and I will happily follow back (just leave me a comment that you’re following me from here, and include a link to your own page)! I can’t wait to see what you’ve made now! You don’t have to be a designer or a big name blog to join this link party – all you need is to have a post about a crochet, knitting, or fiber arts project you did that you’d like to show off! Remember, this party is in RANDOM order, so there’s no such thing as being late. New to the Hookin On Hump Day party? To receive reminder emails twice monthly about the party, enter your email here. Otherwise, I won’t pester you if you’d rather not receive a reminder! I’ve been a regular follower of both PtoP and Moogly blogs and FB, though I’ve missed a lot of parties lately. Glad to join now. I just love hovering around! Thank you!